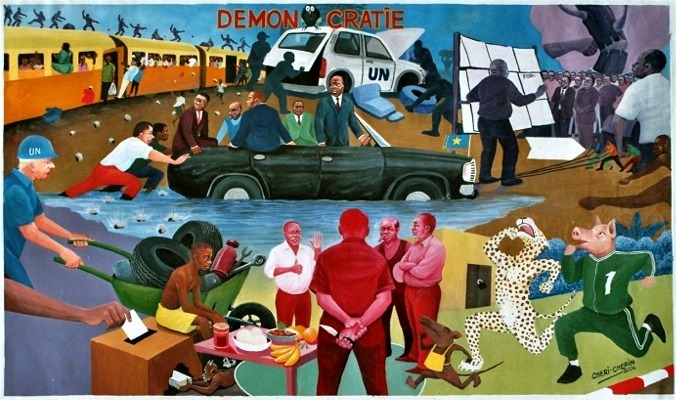 Joseph Kinkonda whose better known as Chéri-Cherin is a Congolese painter from Ndjili, Kinshasa. Born February 16th, 1955 in Kinshasa, he studied at the Academie des Beaux Arts in Kinshasa under the Austrian ceramics-artist Peter Weihs. 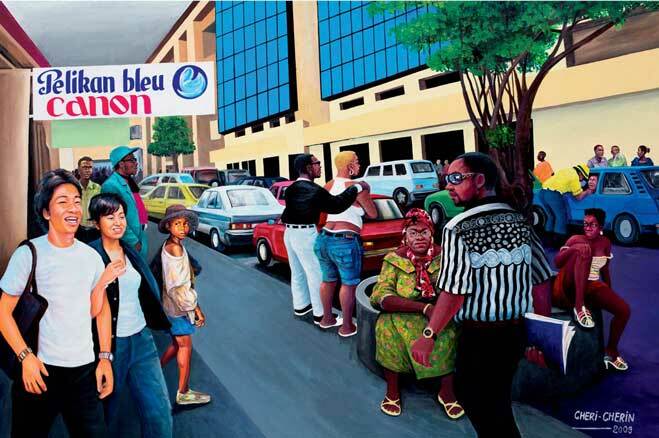 During this time Chéri Cherin started to paint posters in his residential-quarter Ndjili. He invented the name Cherin by using the first letters of attributes he posesses; (C-créateur/creator, H-Hors série/exceptional, E-expressionniste/expressionist, R-remarquable/remarkable, IN-inégalable/matchless). 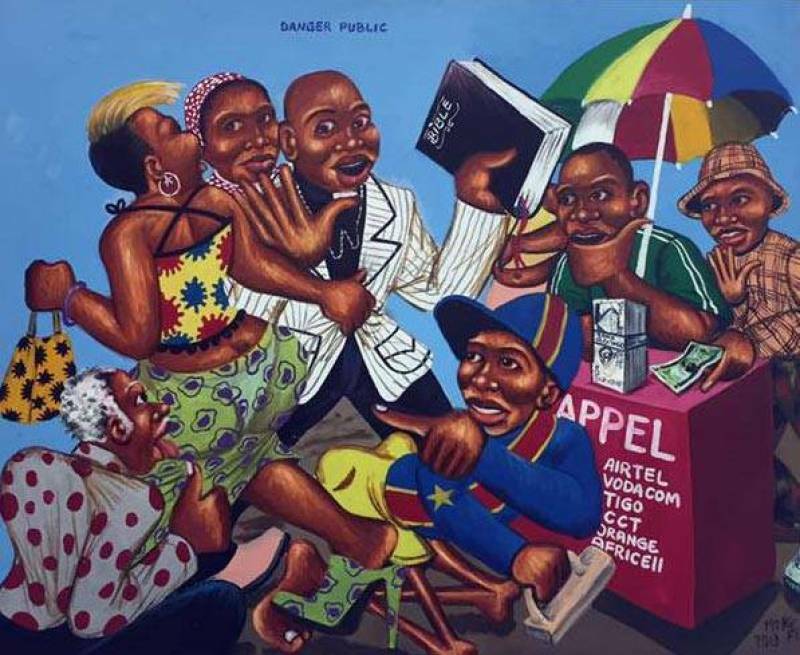 His paintings depict daily life in Congo in an almost “cartoonish style, with a vicious satirical touch.” They all carry a message of some sort on the challenging daily and political matters in Congo. 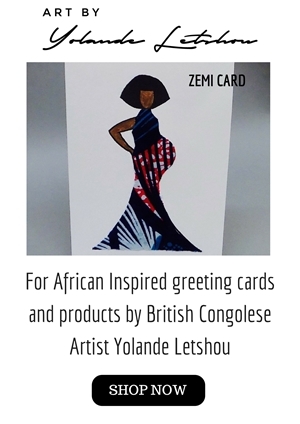 Cherin’s first recognition as an artist was when his works were shown alongside fellow painters Cheri Samba, Moke and Bodo at the 1978 exhibition Art Everywhere. The works of Chéri Chérin have been showed in major group exhibitions in Spain, Belgium, France and the USA resulting in many of his works being successfully auctioned.